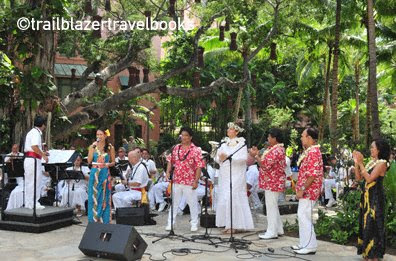 Founded by King Kamehameha III in 1836, the Royal Hawaiian Band has been playing continously, moslty on Oahu, ever since. Take that Rolling Stones. 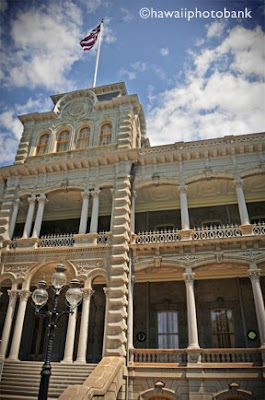 Concerts (free) often take place Fridays at noon on the grounds of Iolani Palace in Honolulu, as well as at Kapiolani Park, and at various locales in Waikiki (pictured here near the Royal Hawaiian Hotel). 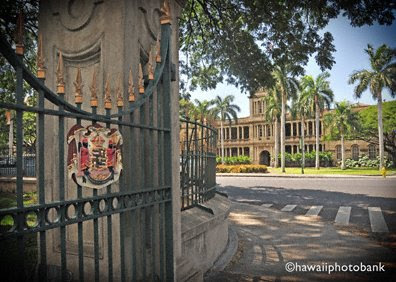 Hawaii's last two monarchs in the late 1800s, King David Kalakau and Queen Liliuokalani, were avid composers as well as world leaders, and thier works are played to this day. Red, blue and yellow, a Kodak moment. 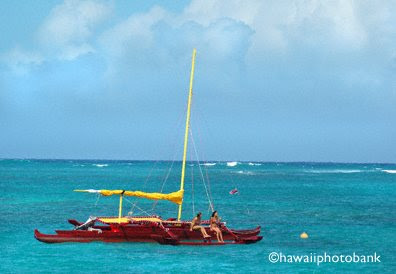 Waiting for the wind, bobbing on the turquoise water, a dreamy snapshot on a lazy day. 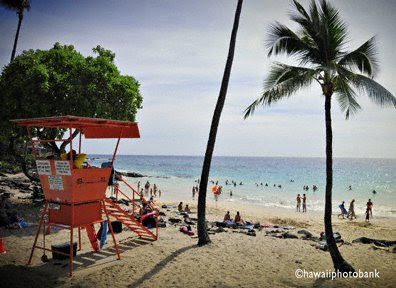 Now remember, the next time you see an ad with leggy babes in a tropical setting selling fruity cosmetic products or island-style swimwear, you are probably viewing the powder-fine sands and aquamarine waters of Lanakai Beach, which fronts a kind-of trendy beach encleave on Oahu's Windward Coast. 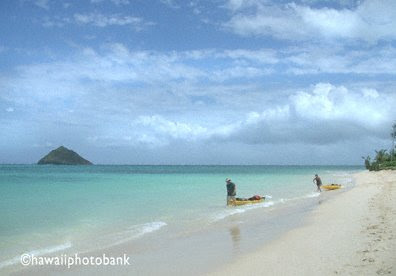 The sure-tell for Lanikai are the little islands near shore which are called Moku Nui and Moku Iki (pictured here). 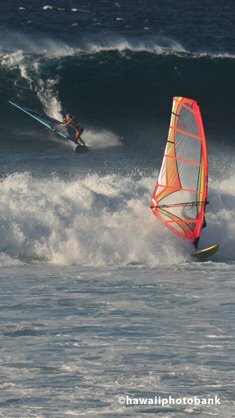 Lanakai's thin strip of coveted sand extends to Kailua Beach Park, which has it its own bragging rights. A rolling lawn planted with huge trees leads to some excellent kayaking and snorkeling—the most popular being the flipper out to Flat Island. See page 109 of Oahu Trailblazer. 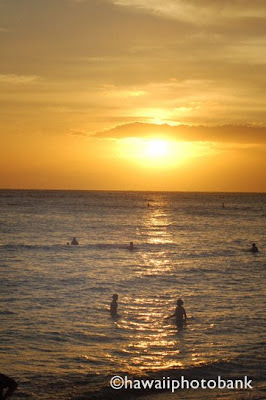 One word is worth a thousand pictures: Waikiki. 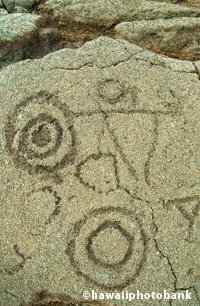 Go there for the first time and you may get sense of preternatural “thereness,” as if you have visited many times, yet fused with a feeling of being captured in the unique moment. The place delivers its postcard image and then some. 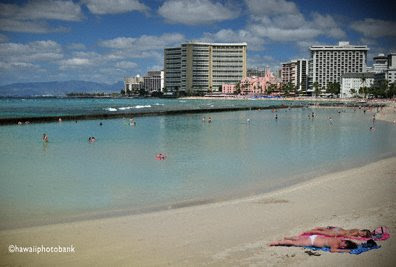 The bald facts are that Waikiki is made up of some half-dozen beaches along two miles of oceanfront, backed by thousands of high-rise hotel rooms amid both designer and cheesy shops, which are hemmed in by the Ala Wai Canal and the familiar countenance of looming Diamond Head. 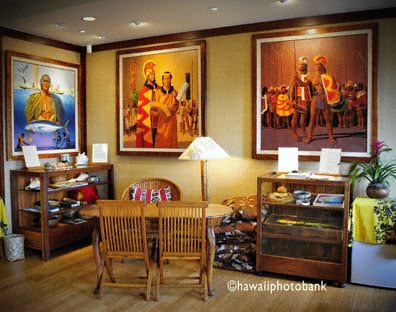 Hawaiian cultural sites stand beside a Trump tower. Flip-flopping sunburned Midwesterners saunter Kalakaua Boulevard beside a covey of made-up Japanese bridesmaids. All the cabbies and bellhops and shopgirls seem to know each other. 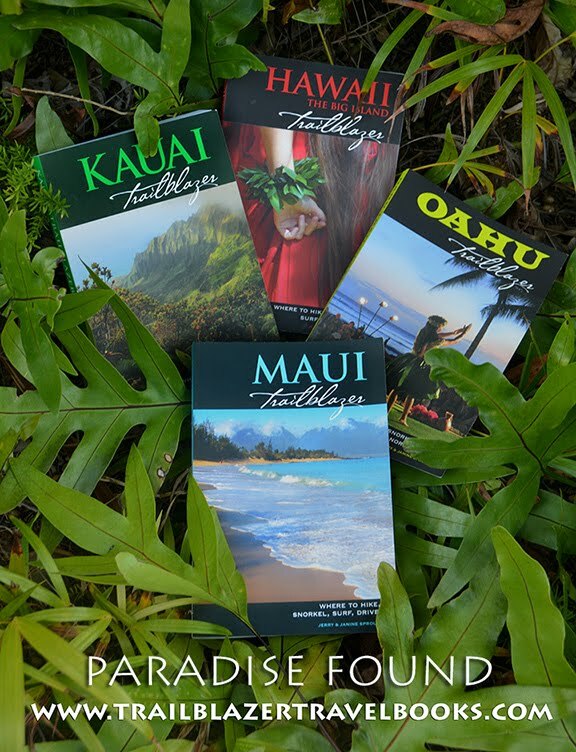 Yes, to visit Hawaii and only see Waikiki (as many visitors do) is to leave the essence of Hawaii untouched. 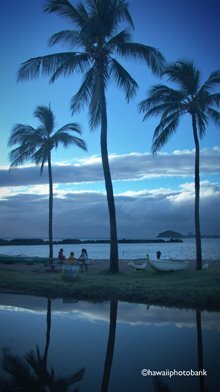 But the converse is also true: To know Hawaii you need to spend some aimless hours here wandering about. 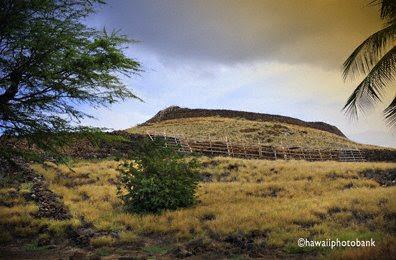 The 1,100-plus acres just north of Kailua-Kona were a horn o' plenty for Kamehameha the Great and his retinue, a lovely patchwork of terraced gardens—until a massive lava flow from Hualalai Volcano covered most of the site. 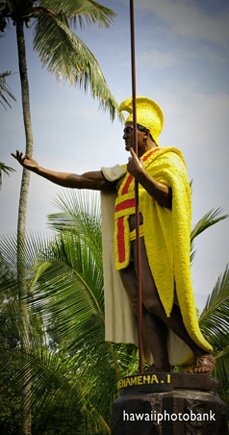 The great king died shortly thereafter ,in 1819, and his remains are rumored to be the the rubble, along with those of thousands of other Hawaiians who died from diseases after the Western world arrived throughout the 1800s. 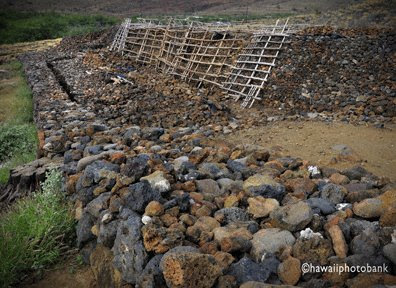 In 1978, Kaloko-Honokohau National Historical Park was established, but only in recent years have improvements been made, including a new visitors center and a largely completed effort to restore the 750-foot-long, 12-foot-wide seawall that encloses the 11-acre Kaloko Pond, which was the fish store for the ancients. 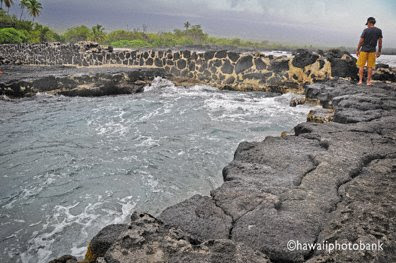 Also included in the vast park are petroglyphs and tall rock mounds (a mystery to anthropologists), heiau and shrine remains, and Aiopio Fishtrap (pictured) a dreamy place to pack the sand and take a refreshing dip. 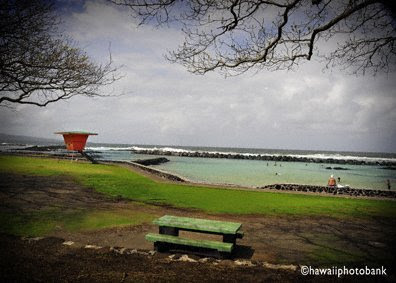 The historical park borders Honokohau Harbor, hotspot for deep sea fishermen, and Alula Beach, a locals' haunt, both of which add interest for visitors. 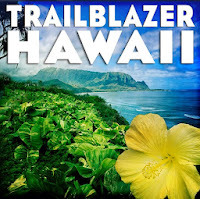 See page 84 of Hawaii the Big Island Trailblazer. Take care not to disturb any ruins when visiting the park; many of its treasures are still being catalogued. 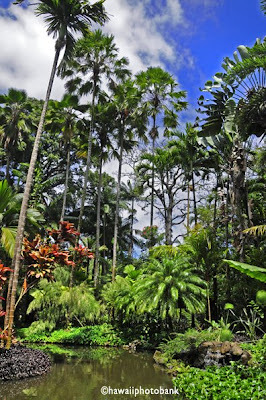 Cleaved by a two gushing streams and fronted by dramatic seascape, Hawaii Tropical Botanical Garden is right there among the state's best—a perfected blend of the wild and the manicured. You descend 500 feet on a boardwalk into Plantworld, getting lost on paths that lead to a tranquil koi pond, a whitewater falls and footbridge, an aviary of colorful birds, and numerous benches to sit for awhile and watch the layers of botany reveal themselves. You don't have to have a green thumb to love this place. On the first visit the garden is overwhelming (in a good way) and after many visits you will appreciate the creativity and elbow grease that has gone into its 30-year history. 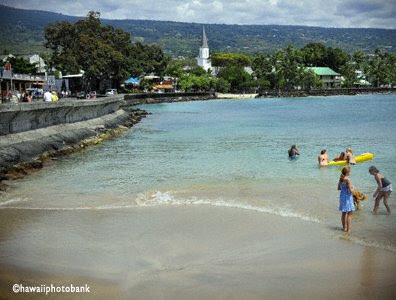 HTBG is located on the four-mile Onomea Scenic Drive just north of Hilo, on a steep hillside that gives way to Turtle Cove and historic Onomea Bay. 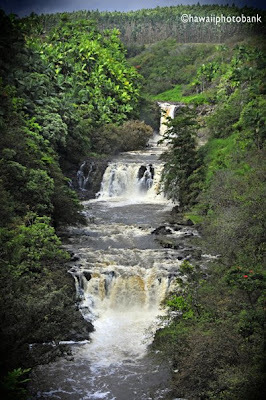 The Umauma Falls could be the cover shot for Glamour Falls magazine. At a photogenic distance away, three falls, punctuated by pools spew from the jungle gorge. 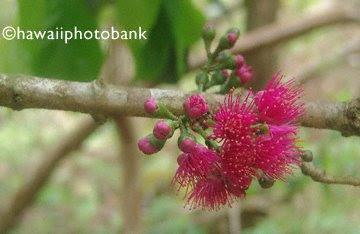 Check out the World Botanical Gardens Visitor Center for details and admission fees. 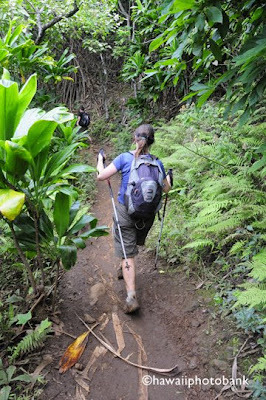 Several hikes in the area can be found on page 172 of Hawaii the Big Island Trailblazer. 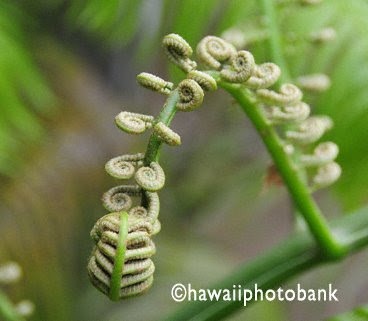 Let's go out on a limb and say Kalopa is Hawaii's best bet for tree and plant lovers who want to take a stroll in the park or a walk in the woods. 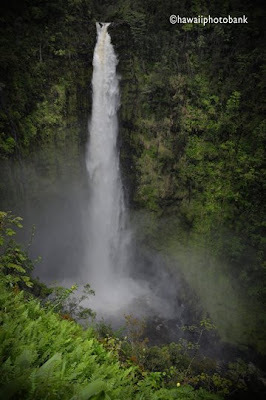 Set at a cool 2,000 feet about 15 miles south of Waipio Valley on the Hamakua Coast, the park's well-kept gardens and grounds and arboretum surround a picnic pavilion and some of the island's best rustic cabins. This pretty setting is enveloped by 500 acres of native forest with miles of hiking trails through towering broadleafs and tropical trees, the home to lots of happy native and exotic birds. 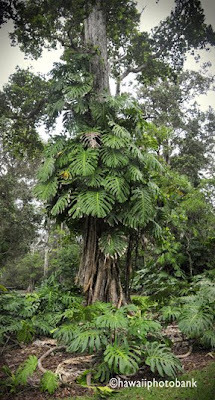 If the Big Island weren't so big, Kalopa State Park would be hum with visitors. As it is, only a relatively few tourists make the several-mile drive up to Mauna Kea's lower slopes to take in this world of plants. Volunteers help unusually dedicated staff uphold the park's long-standing reputation as a top-flight nature fix. 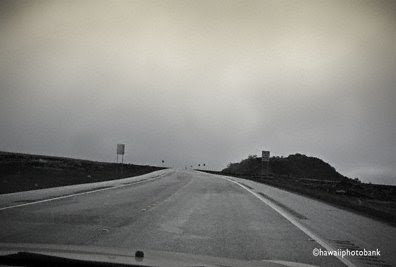 Not long ago Saddle Road, which connects Hilo to Kona via the vast lava fields between Mauna Loa and Mauna Kea, was terra incognita for tourists, 60 miles of high-altitude pavement and potholes that were off-limits to rental cars. Technically it was two lanes, but the edges were patches of asphalt so working dudes and delivery vans would scream down the middle line intent on shaving a few minutes off the trans-island commute. Now (completed in 2008) the first 40 miles or so from Hilo is wide and smooth, with shoulders and a lengthy passing lane coming uphill, and the last 20 miles is a real road with a double yellow line. Wider sections will open this year. 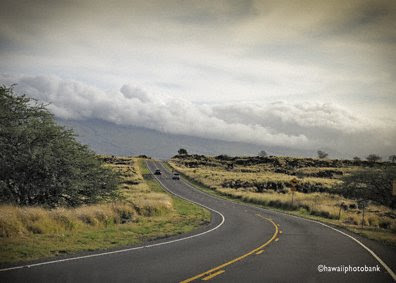 In the middle of Saddle Road is the accesses road to the celestial observatories on Mauna Kea, also a nice paved job, although above the Onizuka Visitors Center (around 9,000 feet) it remains 4WD. Thrill seekers can go the other way, south, and climb to above 11,000 feet to the weather station on Mauna Loa, navigating switchbacks and potholes through a Mars-like lava flow. At first glance, west-central coast of the Big Island—South Kohala—is a post-apocalyptic slagheap, an unending wasteland of many square miles of sun-scorched lava in which no living thing could exists. But wait, there’s more. 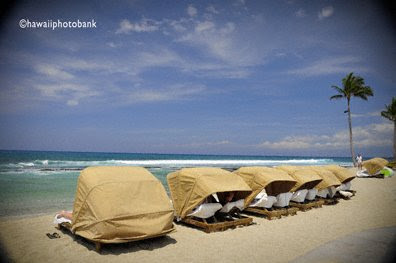 Along the coast of that wasteland are an oasis of fresh-water pools, coco palms, and coarse coral-sand beaches with turquoise water that will make your eyes ache—and here you will find parklands and a wild coast rich in ancient cultural sites that are within strolling distance from some of the world’s best destination resorts. 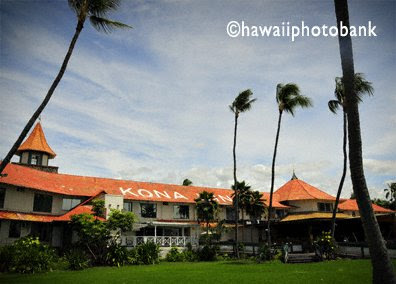 Near the south end are the Four Seasons and Kona Village, side by side. 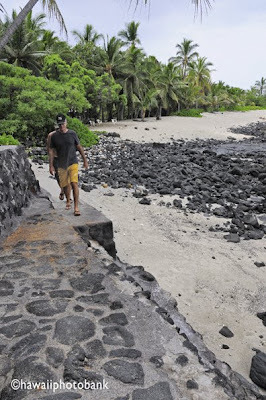 A several mile-coast walks takes you by their posh grounds, as well as petroglyph fields, heiau (shrines or temples) remains, and beautifully intact sections of the ancient King’s Trail, this part ending at the lapping waves and white sand of Kua Bay, a state park. 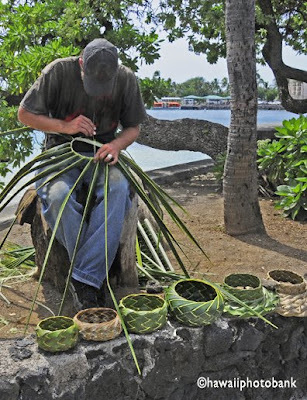 Before or after your walk, swing into the grounds of the Four Seasons to visit the Kaupulehu Cultural Center and get enlightened by docents who really know their stuff. This sandy-bottomed ocean pool in the lava reef is just around the point from all the hubbub of Kailua-Kona, a quick getaway for local parents and keikis (kids) to take safe dip and log some beach time. 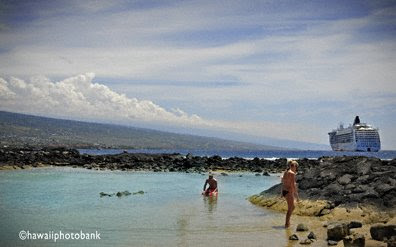 Private property next to King Kamehameha Hotel in Kona prevents tourists from stumbling upon this fun place. To find it, you have to drive a short distance around to Old Airport Beach, park at the swim center, and walk across a soccer field to the shoreline public access. 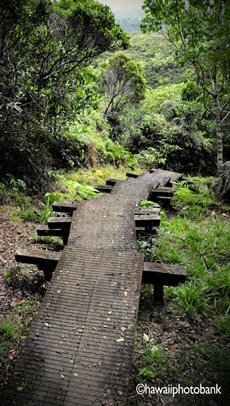 The tranquil spot has seen its turmoil: In the 1980s locals had to fight developers to keep the access in tact, and way back in late 1700s, King Kamehameha named the nearby point Kukailimoku, after his war god. Red hot lava flowing from the Pu’u O’o eruption of the Kilauea Volcano eventually meets the cool Pacific near Kalapana Bay in Puna, sending a towering plume of toxic steam into the heavens: Creation begins anew. 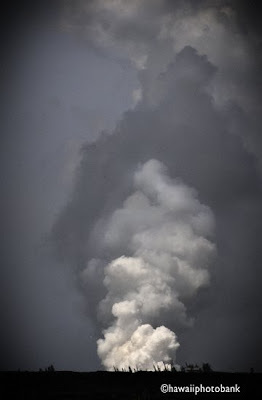 To see the flowing lava, tourists have been flocking to an access road in Kalapana during the early evenings (from 5 to 10), which has put a strain on the small community that has been hit hard by the volcano. Earlier flows during the past two decades actually filled in the bay with lava, destroyed some 200 homes, and wiped out several ancient sites. 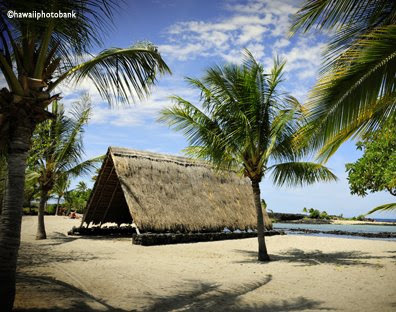 During the day, you can now walk across the lava bay to the shoreline to view the plume and see a new grove of coco palms rising from the cinder, thanks to resilient locals who have planted them. Ferns and a few ohia seedlings are also sprouting in lava cracks, revealing the process that begins life in Hawaii.